Helpful to quite a lot of people, some proverbs seek to show patterns and to deal with problems or dilemmas. Pieter Breugel. 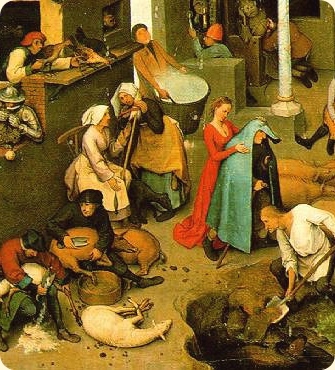 Netherlandish Proverbs, with peasant scenes illustrating over 100 proverbs. 1559. Section.